Dr. Taubman is a is a local expert on the hereditary aspects of cancer. He is a graduate of the City of Hope Program in Cancer Genetics and a member of the Fischer Center for Familial Cancer Research at Lombardi Cancer Center. He has been invited to give lectures to physicians at Medstar Montgomery, Holy Cross, Shady Grove, Medstar Franklin Square and Baltimore Mercy Hospitals and has written an article on the subject. Dr. Taubman sees patients in consultation who may be at high risk for hereditary cancers. 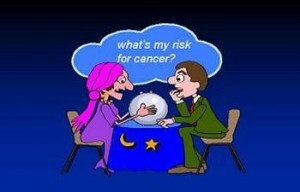 If your doctor has referred you for a cancer genetic consultation call 301-774-5400 to set up a consultation.